Oxidized and then polished to show off the twisted rope pattern. Available in 3 sizes: Small (1.25") Medium (1.5") Large (2.5"). 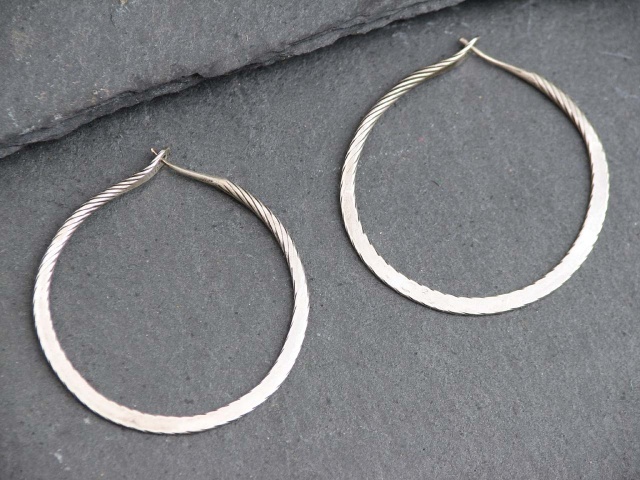 Also available in gold vermeil and 14K.